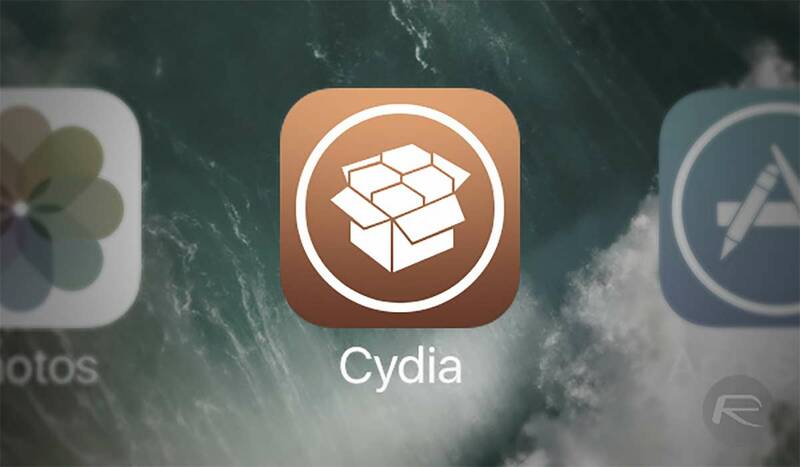 Jailbreak king Saurik has released Cydia Substrate 0.9.7000, an update that brings full support for the unc0ver jailbreak as well as improved stability for those who are using iOS 11. According to a Tweet by Saurik, otherwise known as Jay Freeman, this new update works fine with a whole host of jailbreaks and is apparently the “most well-tested update ever,” although he does also say that he expects “it will fail anyway.” That’s a tongue-in-cheek remark but it also further highlights the fact that there are no guarantees with something like Cydia Substrate. 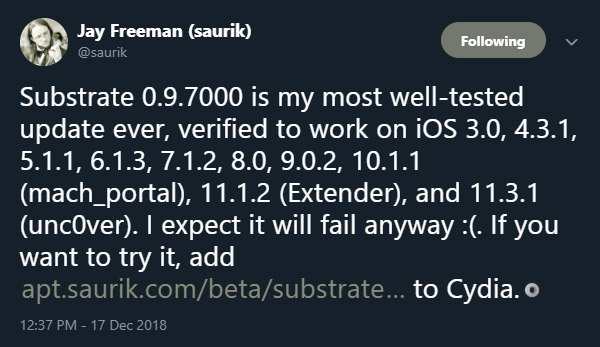 A further tweet by jailbreaker Pwn20wned said that switching to Cydia Substrate should see any freezes or restarts that people have experienced using other tools be fixed. He also said that his team has been testing the update for two months or so, which further drives home Saurik’s point that this is a well-tested update. It would also appear that it’s likely to be one of the best featured, too. Cydia Substrate 0.9.7000 (available only via beta repository) has essentially been rewritten, from scratch, four times over. It was originally designed for use with an iOS 11 jailbreak that was to be released as part of Extender, but now it instead fully supports unc0ver by pwn20wnd and sbingner. This version of Substrate has a centralized “hook cache” that solves the vnode exhaustion issue that has low key plagued Substrate since iOS 9. This new version can (and does) hook absolutely every process on the entire system (which was always the goal… some users might disagree). While prior releases of Substrate were “supposed to work” on older versions of iOS, this build of Substrate has actually been tested on a stack of jailbroken devices running all of iOS versions 3.0, 4.3.1, 5.1.1, 6.1.3, 7.1.2, 8.0, 9.0.2, 10.1.1 (mach_portal), 11.1.2 (Extender), and 11.3.1 (unc0ver). If you want to get your hands on this new version, you need to download it from a new repository, which can be found at apt.saurik.com/beta/substrate11. The “store” has actually been down for a long time now. That’s not news. The only real difference is Jay came out from under his rock and officially announced it because a major security issue was found.